“BELIEVE ME, IT WAS NOT FOOTBALL, IT WAS WAR.” Bobby Robson seethed with anger as he spoke to the journalists. Ipswich Town had just survived a gruelling match against Lazio in the UEFA Cup and few players had come away unscathed. David Best was so badly hurt that initially a fractured tibia was suspected, Colin Harper had strained knee ligaments, while Brian Hamilton remembers a challenge from Giorgio Chinaglia that “nearly broke me in half”. The trouble started well before the match when Trevor Whymark was handed a commemorative trophy by a group of Roma fans as an appreciation for his first leg performance – an ultimate act of provocation for many hot-headed Lazio ultras. On the field, Lazio began with aggression and took just 43 seconds to take the lead. Twenty-three minutes had passed when referee Leo van der Kroft made the first of his multiple controversial decisions. Alan Hunter had made two desperate goal-line clearances, the second one with his outstretched arm. It was a clear penalty – shockingly not awarded by the referee. After a brief scuffle regarding the decision, Lazio did double their lead through Chinaglia. Twenty-eight minutes into second half and any semblance of a normal match was shattered when Ipswich converted a somewhat soft penalty. As Whymark tried to celebrate with the scorer Colin Viljoen, he was kicked and punched by Lazio players. The rest of the game was a series of slugfests and skirmishes. With Italy manager Ferruccio Valcareggi in the stands, Chinaglia refused to lose his nerve and completed his hat-trick in the 87th minute, handing a 4-1 lead to the home team. Any lingering hopes of Lazio overturning their deficit, however, was quelled when David Johnson scored Ipswich’s second deep into injury time. At final whistle, all hell broke loose. It was every man for himself as Ipswich players raced to the dressing room to escape an irate crowd. Lazio ultras pelted police with full beer cans and lighted rockets, and an ambulance outside the stadium was set alight. The police responded with tear gas. Some of the Lazio players tried to gang-up on the Ipswich players, who had barricaded themselves in the dressing room. After staying indoors for over an hour, Ipswich players were finally escorted out of the Olimpico by the police. When they reached their hotel they saw Lazio fans outside it. Instead of going inside, they detoured to a restaurant and it was not until 3am that the players finally managed to reach their rooms safely. Unsurprisingly, UEFA didn’t react kindly to this farce. Lazio was handed a hefty fine and banned from European competition. 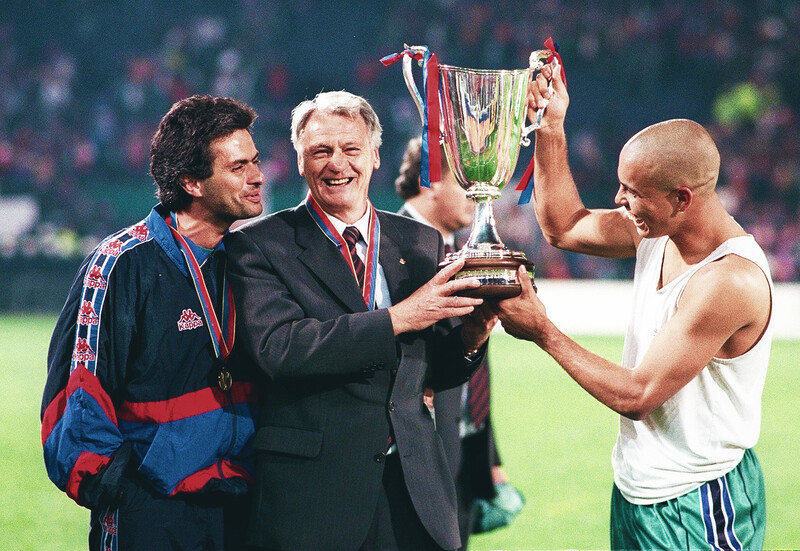 This was arguably the most eventful European game of Bobby Robson’s brilliant stint at Portman Road, which would see his team defeat established European powers, often with a swagger. Despite early setbacks, Robson made his arguably greatest recruitment in 1970 by appointing Ron Gray as chief scout. By 1971, Robson’s first great Town team had begun to take shape. Allan Hunter came in from Blackburn for £60,000 and he was paired with 19-year-old Kevin Beattie, who was described by Gray as a “streak of lightning on the ground”. Whymark was beginning to find his feet with the senior team, left-back Mick Mills, still 22, had already played over a hundred games, George Burley graduated from the youth team and would form a superb tandem as a right-back with Mills, while midfield mainstays like Colin Viljoen, Bryan Hamilton and Mick Lambert were all in their early 20s. In 1972-73, they finally clicked and began their league campaign with a resounding away victory against a Manchester United side featuring George Best, Denis Law and Bobby Charlton. They eventually finished fourth and qualified for Europe. Robson also picked up his first Ipswich silverware, defeating bitter rivals Norwich in Texaco Cup. In the UEFA Cup first round, a monumental challenge awaited Ipswich in Real Madrid, under the tutelage of Miguel Muñoz and boasting the likes of Amancio Amaro, Günter Netzer and Manuel Velázquez. Ipswich players and coach didn’t have any experience of European football while Real not only had a two-time European Cup-winning coach but also had players with a wealth of continental experience. At Portman Road, led by a spotless shift from Mills, the Ipswich defence snuffed out Real’s flair players. Seven minutes into the second half, Mills jinked past Juan Tourino before unleashing a hopeful shot from just outside the box, one that took a heavy deflection, wrong footing the goalkeeper in the process and putting the home side 1-0 up. Ipswich had more chances but a header from Hamilton was acrobatically saved while Whymark missed an easy one-on-one. Three weeks later, another defensive masterclass from Beattie and Hunter and a solid performance from David Best in goal ensured a goalless draw. Ipswich had survived their baptism of fire and come out with flying colours. It was a sign of things to come. The next round would result in two extraordinary matches. Lazio’s proud defensive record of being breached just 16 times in 30 Serie A matches would take a sound beating in Portman Road. Writing on this match for The Blizzard, Dominic Bliss suggests that Tommaso Maestrelli’s defensive strategy and tactical tweaks completely backfired. Ipswich relentlessly exploited Lazio’s weakness on the flanks with Harper and Lambert infiltrating the left wing at will. Trevor Whymark used his strength and poacher’s instincts to take full advantage of the confusion in Lazio penalty box. In the 16th minute, Whymark opened his account with a powerful header off a Lambert cross. His second, nine minutes later, was constructed with a similar blueprint: this time Harper crossed and the striker bundled in from close range. Just two minutes after the restart Harper and Lambert combined to set up Whymark’s hat-trick before an astonishing fourth of the night came courtesy of Viljoen. Ipswich survived a battering in Rome to progress 6-4 on aggregate. FC Twente produced little resistance in next round with Ipswich winning 1-0 at home and 2-1 in Enschede. Robson was soon facing the prospect of reaching a European semi-final at his first attempt as a Kevin Beattie goal handed a victory at home in first leg quarter-final against Lokomotive Leipzig. In East Germany, however, things didn’t go according to plan as Mills was sent off in the 40th minute and Lokomotive went 1-0 up in second half. A man down, Ipswich fought bravely for over an hour to take the tie to penalties. Sadly, after a lion-hearted performance in normal time, Hunter missed his sudden death kick. Despite the heartbreaking exit, Robson had left a superb impression on his European debut. After another fourth place finish Ipswich were back in UEFA Cup in 1974-75 facing a familiar opponent in FC Twente. This time the Tukkers, who went on to reach the final, proved to be a more formidable opponent and drew 2-2 at Portman Road. In the Netherlands, a strike from Hamilton was all Ipswich could muster as a 1-1 draw saw their second UEFA Cup campaign end with a whimper. Ironically, Robson’s first great Ipswich team was at their peak this season and came within two points of winning the league title, while referee Clive Thomas dubiously cancelled out two goals during an FA Cup semi-final loss to West Ham United. The 1975-76 UEFA Cup first round saw Ipswich line-up against 1974 champions Feyenoord. This time, Robson’s team performed with clinical intent and notched up a 4-1 aggregate victory. In the second round, Ipswich built up a commanding 3-0 lead in the home leg against Ernst Happel‘s Club Brugge. Despite the scoreline, Brugge’s quality was evident as they created several chances with Raoul Lambert hitting the post twice. In the return leg in the newly-opened Jan Breydel Stadium, Ipswich came under siege from the first minute, conceding five corners in 12 minutes. The Belgians took the lead from a penalty and piled in two more goals in first half as the home crowd created a daunting atmosphere. Ipswich recovered somewhat after the restart but could do little when Ulrik Lefèvre’s cross fell to René Vandereycken in the 87th minute. The midfielder made no mistake to notch Brugge’s fourth of the night and complete one of the most remarkable comebacks in UEFA Cup history. The tie would highlight a recurring theme of the Robson era where dominant home performances were often followed by lacklustre away games. That great Brugge side would then go on to lose the final to Bill Shankly’s Liverpool after knocking out Roma, AC Milan and Hamburg. Ipswich missed out on European football in the 1976-77 season but mounted a strong title challenge and eventually finished third. Their league form in 1977-78 would turn disastrous and they escaped relegation by just three points. However, the same season would also produce two of the most memorable matches in The Tractor Boys’ history. The first of them came on 6 May 1978 in the FA Cup final against Arsenal. 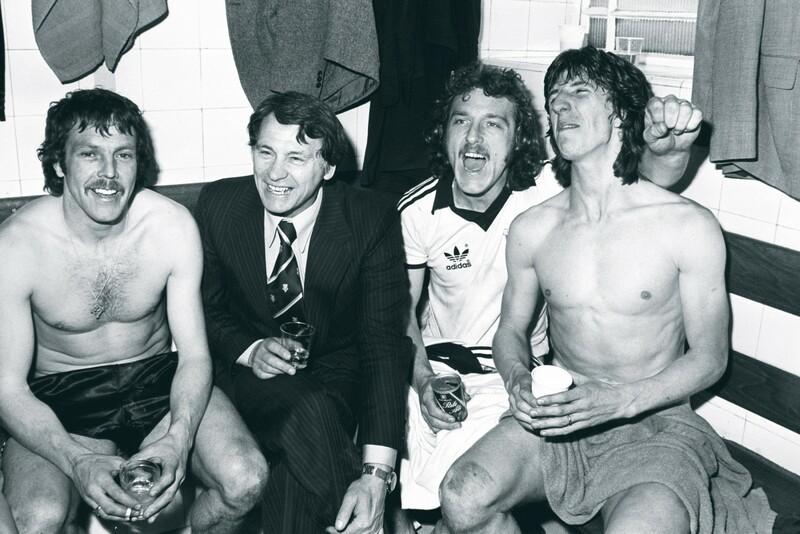 Robson’s men were the underdogs, up against a side boasting the likes of Liam Brady and Malcolm Macdonald. Ipswich, however, surprisingly dominated the match and, after hitting the woodwork three times, Roger Osborne popped up with a winner in the 77th minute. 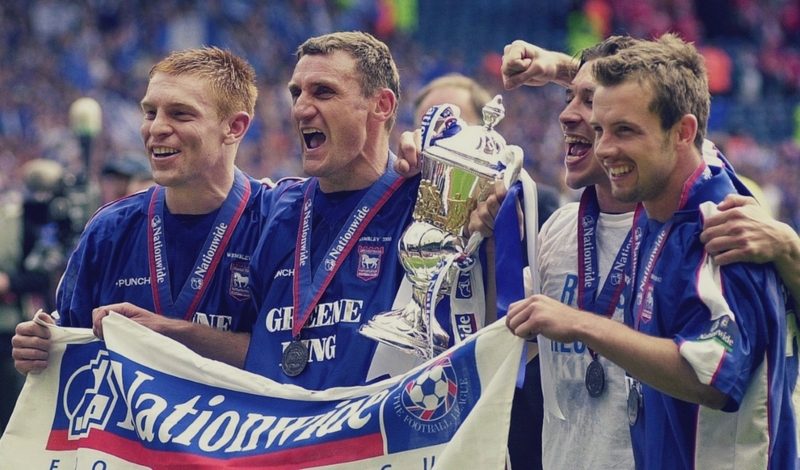 It was Robson’s first major trophy and Ipswich’s first FA Cup title. The second match came in the UEFA Cup third round. Ipswich had breezed past Landskrona and Las Palmas with Whymark sensationally scoring four times in the home leg against the former. In the third round, they were up against Barcelona, coached by Rinus Michels and containing Dutch masters Johan Neeskens and Johan Cruyff. At Portman Road, Ipswich were absolutely sensational. Osborne marked Cruyff out of the game as Town struck twice in the second half to win 3-0. Yet again, their wing movement was devastating and two of the three goals came as a result of crosses whipped into the box. Three days before the return leg, Barcelona lost the El Clásico at home. This, combined with a miserable weather, meant that only 24,000 turned up at the Camp Nou. Johan Cruyff turned his style on, scoring twice in each half with Town desperately hanging on to their first leg lead. Just when it seemed that Ipswich would escape, a penalty was awarded to the home team in the 87th minute. Carles Rexach made no mistake from the spot, taking the match to extra-time. It eventually went to penalties where Town missed three out of their four attempts to send Barcelona to the quarter-finals. Ipswich made their UEFA Cup Winners’ Cup debut the following season. After scraping past AZ Alkmaar and FC Wacker Innsbruck, they found themselves facing the same opponents that had knocked them out of Europe a few months before. Eric Gates struck twice at Portman Road to eke out a 2-1 home win but with Barcelona sealing a 1-0 win in Spain, it was Esteban Vigo’s away goal which would decide the tie. A fondly remembered and oft cited fact about Bobby Robson’s time at Ipswich Town is how he signed just 14 players during his 13 seasons in Portman Road. Ever dependent on an excellent scouting system led by Gray, along with George Findlay in Scotland, Robson drew heavily from the talent-rich Ipswich youth teams, two of which won the FA Youth Cup in 1973 and 1975. In perfect harmony with the policy of integrating young academy players, Robson’s purchases were rarely failures. His Ipswich teams had been successful by playing the quintessential direct English game and, by the 1978-79 season, Robson understood that he needed a tactical overhaul to reach the next level. Consequently, within six months of each other, he bought two players that would revolutionise the way his team played football. Arnold Muhren, a squad member in the great Ajax side of the early-1970s, was the first to join at the start of the season for £150,000. By winter, his old team-mate at Twente, Frans Thijssen, had arrived too. The skilled and imaginative Dutch duo brought a new level of sophistication to the Ipswich game. They were not traditional wingers; instead, they were midfielders who could play out wide. Powerful centre-forward Paul Mariner was already a regular. A perfect foil for him came in the form of the skilful Alan Brazil. Eric Gates was mostly used as a rotation player from 1973 but he now became a first team regular playing in the hole behind Brazil and Mariner. Ipswich played a formation which would alternate between a 4-3-3 and a 4-3-1-2. John Wark played a deeper midfield role but his exceptional sense of positioning meant that he would often turn into an effective fourth striker and score goals in abundance. Brazil, Gates and Wark were all absorbed from the youth team just like the defensive pairing of Russell Osman and Terry Butcher. This was arguably the greatest Ipswich Town team of all-time and, after a wobble in the first half of the season owing to the change in style, they eventually finished strongly to qualify for UEFA Cup. Despite demolishing Norwegian minnows Skeid Fotball 10-1 in the first round, Ipswich’s UEFA Cup campaign in 1979 came to a screeching halt with a shock exit at the hand of Swiss club Grasshopper. In the league they did better, stitching together a five-month unbeaten run including a famous 6-0 win over Manchester United. For many Ipswich Town fans, the 1980-81 season remains their best ever. The Tractor Boys led the league for a significant time and until as late as April were favourites for the title. They were also bidding for a double before Manchester City ended their FA Cup run in the semi-final. Ipswich defeated eventual champions Aston Villa twice in league but their thin squad became the victim of fatigue as a fixture pile-up saw them play an incredible 66 matches. They scored freely, with the front three combining to contribute 59 goals and Wark chipping in with a jaw-dropping 36. But it was in Europe where Ipswich were at their very best. They began their memorable campaign with an ill-tempered home match against Aris Thessaloniki. Five yellow cards were flashed in the first half and four penalties were awarded, three of which were to Ipswich – converted by Wark leading to a 5-1 win. Just like Rome in 1973, the return leg in Salonika became a cauldron of pressure with an intimidating home crowd. Ipswich struggled and by the 65th minute they were 3-0 down and looking perilously close to a shock elimination. Eight minutes later, Gates grabbed an invaluable away goal and eventually Ipswich escaped with a 3-1 loss. Up next were Bohemians Prague and the 1980 Czechoslovak Footballer of the Year Antonín Panenka. At home, Ipswich opened the floodgates in the second half thanks to a double from Wark and a 25-yard free-kick from Beattie. Playing the away leg in sub-zero temperature, Beattie was Ipswich’s hero as he put in an inspired performance in face of incessant Czech attacks. The home team led after two minutes and Panenka’s free-kick made it 2-0 in the 52nd minute. Inspired by Beattie, Ipswich hung on and progressed 3-2 on aggregate. Widzew Łódź, their third round opponents from Poland, were about to enter a golden era of their own. They would go on to win back-to-back league titles in 1982 and 1983 and reach a European Cup semi-final. Powered by Polish internationals Władysław Żmuda, Włodzimierz Smolarek and Zbigniew Boniek, they had knocked out Manchester United and Juventus in the previous rounds. At Portman Road, like many teams before them, the fight went out of Łódź. With Thijssen delivering a virtuoso performance and Wark grabbing his second UEFA Cup hat-trick, Ipswich ran out comfortable 5-0 winners. Widzew could only muster a 1-0 win in Łódź with Butcher putting in a flawless performance on a frozen pitch. It seemed that their away struggles would continue when they lined up against Saint-Étienne in front of 43,000 people at Stade Geoffroy-Guichard in the next round. The French side had dismantled Hamburg in the previous round and had in their ranks Johnny Rep, Patrick Battiston and a certain Michel Platini. When Rep scored after 16 minutes it looked as if the familiar script away-game would play out. Twelve minutes later, however, Mariner connected with a Muhren cross to make it 1-1. In the second half, with the home team pushing forward, Ipswich delivered a counter-attacking masterclass, finding the net three times through Muhren, Mariner and Wark. This was arguably the greatest match Ipswich had played under Robson, who dubbed it a “tremendous, almost faultless performance”. Two weeks later Ipswich scored three times in the second half at Portman Road and ensured a smooth passage to their first ever European semi-final. With Dieter Müller leading the attack with eight goals, FC Köln had knocked out Barcelona on their way to the semi-final. They also had German internationals Rainer Bonhoff, Pierre Littbarski and Harald Schumacher. Wark’s 33rd-minute header was enough to seal a narrow victory at Portman Road against the Germans. The 14 days that followed the first leg were agonising for Ipswich fans as punishing fixtures saw them play four matches, ending their FA Cup and First Division bids. With the UEFA Cup being their only remaining shot at silverware, a header from Butcher settled a nervy affair in Germany and send the English side through to the final. Georg Kessler arrived in AZ Alkmaar in 1978 and would soon lead them to unprecedented success. Meshing the natural skill of his largely Dutch squad with a pragmatic 4-4-2 formation, Kessler built his team around Johnny Metgod and Hugo Hovenkamp in defence, with 1979 European Golden Boot winner Kees Kist up front. Like Ipswich, the 1980-81 season was AZ’s greatest and would see them win a domestic double after scoring an incredible 101 goals in the league campaign. Just three days before the first leg of the UEFA Cup final, AZ wrapped up the league title with a 5-1 thumping of Feyenoord. Some of the players, however, were still not out of the party mood when AZ came to the fortress that was Portman Road. Keen to take advantage, Ipswich dominated most of the match. They took the lead at the half-hour mark through a Wark penalty. A minute into second half, a long pass from Gates was headed down by Wark towards an onrushing Thijssen. The Dutchman’s first shot was saved but he made no mistake to head in the rebound. AZ had no answer to Ipswich’s offensive thrusts as Gates oscillated between the forward line and midfield and Brazil frequently changed flanks. The latter created Ipswich’s third as Mariner prodded home. Three-nil up after the first leg, Ipswich had one hand on the cup but they needed a competent away performance to ensure it. In Amsterdam Ipswich’s nerves were calmed by a Thijssen volley four minutes after kick-off. But AZ soon struck back thanks to some sloppy Ipswich defending and a spectacular performance from Metgod, who made brilliant offensive forays from his sweeper position. He assisted AZ’s opening goal and headed them into the lead in the 25th minute. 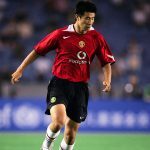 Jolted, Ipswich soon levelled things as Wark volleyed a headed pass from Mariner, equalling José Altafini’s record for the most goals in a European campaign. This was the vital second away goal and meant AZ needed to score four times to lift the trophy. They only managed two, with Paul Cooper making a few sharp saves in Ipswich goal. The UEFA Cup victory was a vindication of Robson’s leadership in Portman Road. For over a decade he had poured his life’s essence into the club and created squads from scratch. Ipswich had punched above their weight as Robson’s teams finished above revered others coached by the likes of Brian Clough and Bill Shankly but had often failed to win silverware. For a club of Ipswich’s modest stature, the UEFA Cup victory was nothing short of a fairy-tale. Ipswich made one last push for that elusive league title in the season that followed, and yet again they came agonisingly close, finishing second by four points. As defending champions, their UEFA Cup campaign was unflattering with Alex Ferguson’s Aberdeen knocking them out in first round. 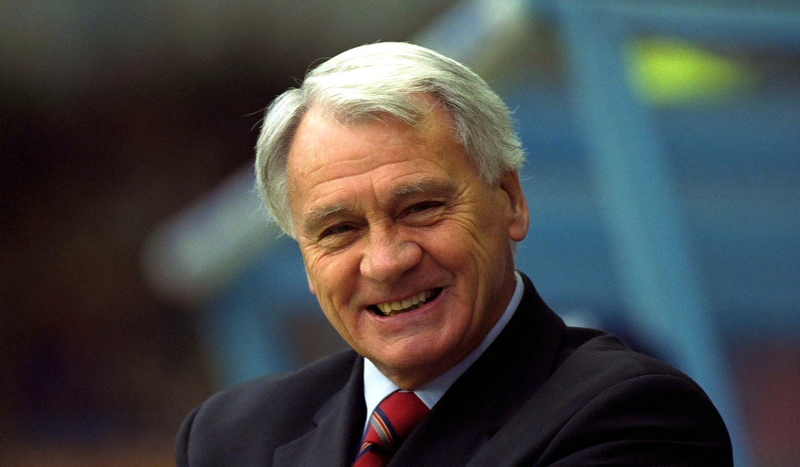 Bobby Robson soon left to coach England and the team disintegrated. He would go on to find success in the Netherlands, Portugal, Spain and England but Ipswich never hit the same heights again. He passed away in 2009 after a brave fight with cancer. Ipswich still retain the incredible record of never having lost a home game in UEFA competitions; a record largely set during the Robson reign. Along with that record lasts fond memories of a time when Ipswich Town were darlings of English football and the favourites of most neutrals.